In this article we’ll show you how you can watch Paris-Roubaix for free anywhere in the world. 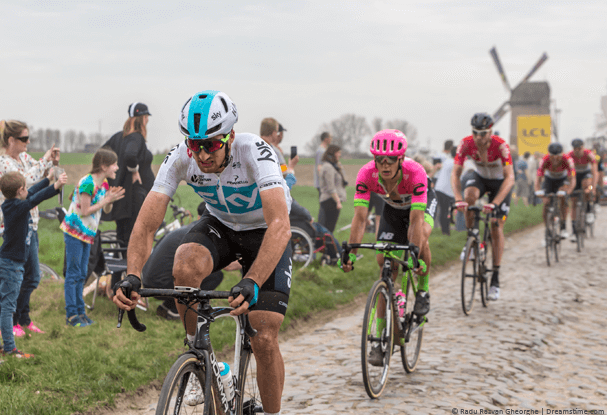 This is an exciting part of the year for professional cycling fans around the world, as the Paris-Roubaix is just a few days away. The one-day professional men’s bicycle road race, which takes place in northern France, from Paris to Roubaix, is among the oldest and the most difficult one-day races, where riders have to endure a lot to win. The only question for the fans of the sport is — how to watch it? Paris-Roubaix will not be broadcast worldwide, and a lot of services are geo-restricted, which is a problem. Below we’ll be showing you the simple trick to live stream the entire race, you don’t need cable nor does it involve using sketchy websites. As mentioned, many of the streaming services and channels that are going to cover the race are geo-restricted, meaning that you can only access them from certain areas. One such case is the Australian SBS Cycling Central, which covers such a popular event. However, if you wish to access it, but live outside of Australia, you will find it impossible, at least without a bit of help. This is where ‘VPNs‘ come in. VPNs are online privacy tools that can protect your online traffic and keep your activities secret. However, they can also hide your IP address, and give you a new one, which allows you to change your online location. Simply connect to their Australian server, and SBS Cycling Central will consider you an Australian citizen. That way, you can watch the race from anywhere in the world. Where can I get a VPN to watch? There are many VPN services on the internet, which might make it difficult to find the best one easily. However, you cannot just use any old VPN, as there are a lot of factors that define each service. Be that speed, the strength of protection, or server location, choosing the right one is crucial. For this purpose, we recommend ExpressVPN, which is the best for this type of thing due to the fast speeds. It’s essential for streaming video. 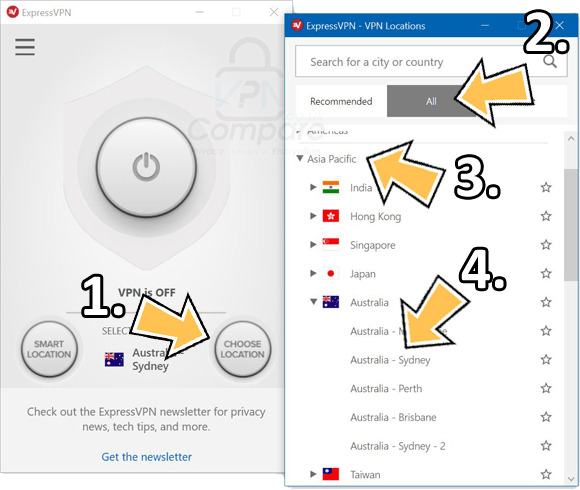 However, you can also consider IPVanish or NordVPN, if ExpressVPN does not suit your needs for some reason. The only thing to learn now is how to get it, which we explain below. This is an easy step, and all that you need to do is go to ExpressVPN website and create an account by clicking on ‘Get ExpressVPN’ and choosing your payment plan. There are several, with different costs and lengths. ExpressVPN offers dedicated apps for a lot of different systems and devices, and as soon as you create your account and choose a payment plan, you will be presented with links for different apps. Click the link, and the download will start. When finished, install the app. You can also get the mobile app from your regular app store after sign-up, or the desktop apps are available in the ‘Products’ section of the ExpressVPN website. Once downloaded and installed, the app is ready to be used. Launch it, log in, and locate the list of servers. On it, you will have to find servers located in Australia, and connect to any of them; they should work fine. You can do this by pressing ‘Choose Location‘, ‘All‘, ‘Asia Pacific‘, ‘Australia‘ and ‘Australia – Sydney 3‘. At this point, every website and service on the internet will think that you are located in Australia, as you are connected to an Australian server. That means that all that remains is for you to go to SBS Cycling Central, relax, and start watching the race live. When is Paris-Roubaix being shown? The race will take place this Sunday, April 14th, with the live coverage starting at around 08:45 a.m. UTC, which is around 04:45 p.m. in Australia. For those located in different time zones, you can use TheTimeZoneConverter to work out what time is that in your area. Who is taking part in Paris-Roubaix? This year’s Paris-Roubaix should be very exciting. Race fans probably still remember how last year Peter Sagan became the world champion for his third time, and while wearing the rainbow jersey, for that matter. Sagan will join the race this time as well, together with Niki Terpstra, Greg Van Avermaet, John Degenkolb, Zdenek Stybar, Philippe Gilbert, Oliver Naesen, and many more. No one can say, although Greg Van Avermaet, who won back in 2017, managed to finish in the top four during the last five years, which shows he has potential to be this year’s winner. Paris-Roubaix is a popular cycling race that has a long history, as it has been taking place for well over a century, now. The race will take place this Sunday, April 14th, and it will be broadcast on several streaming services and networks. Our primary choice for watching it is Australia’s SBS Cycling Central, although the problem lies in the fact that the service does not work for those not located in Australia. Luckily, you can resolve that issue quite simply, and all you need to do is employ a strong, fast VPN service. We recommend using ExpressVPN, as it is definitely among the fastest ones with a great server offering. It is affordable, easy to set up and use, and you’ll be able to watch the entire Paris-Roubaix wherever you are in the world.